Live Aid legend Midge Ure will perform his signature hit Vienna with a live orchestral backing for the first time at a major concert to mark the staging of the Ryder Cup in Scotland. 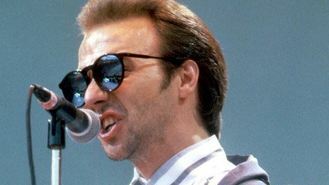 The singer-songwriter will perform the 80s classic with the Royal Scottish National Orchestra (RSNO) at next month's Ryder Cup Gala Concert. He is one of several music stars, including Texas, Amy Macdonald and Nile Rodgers of Chic, to perform with the orchestra at the event at Glasgow's SSE Hydro on September 24. Nile will perform a classical version of his Daft Punk collaboration Get Lucky, as well as Chic favourites Good Times and Le Freak. The audience will see Amy perform Mr Rock & Roll with the RSNO's full string ensemble, while Texas will play their hit Inner Smile. Twin Atlantic, Eddi Reader, Nina Nesbitt, Jake Bugg and Danny Wilson are also among the line-up. The concert is the curtain-raiser for one of the biggest sporting events in the world. Golf's clash between Europe and America will take place at Gleneagles, Perthshire, with competitive action beginning on September 26.